Custom page sizes up to 12"x12"
Impress your clients with high-quality and appealing catalogs. Order these in bulk for added savings. We provide cheap catalog printing that fits your budget and your desired catalog printing. We print this product using our offset printers for efficient and consistent printing. Our wholesale catalogs can be used as product and service listing, directories, or restaurant menus. Work on the catalog design and let us handle the professional and affordable catalog printing. Since catalogs need to be attractive and well-designed, we offer various catalog sizes that would fit your design and layout. We produce 250 to 25,000 pieces with a standard print turnaround time of 6 business days; 4 business days for rush orders. 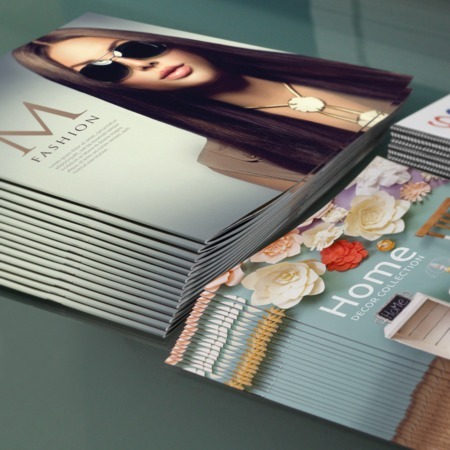 Our catalog printing service uses high-tier and durable paper or cardstock that could add elegance to your items. Our paper can be coated in matte, gloss, or high-gloss (UV). An uncoated option is also available for catalogs that are meant to be written on. Choose UPrinting as your trusted catalog printing company and get the high-quality printing service that you've been looking for. Matchless results of four color postcard printing company design graphics are accurately reflected in each postcard design. You don't have to live in.